Some people will argue that all you need to become good at Battle Royale is a good internet connection. These are probably people who have been playing since the game was released though, people who have played games similar to Battle Royale, or people that are just naturally gifted at gaming. Fortnite Battle Royale can be quite a tricky game to play, especially for new players to the game. Being faster and stronger than as many players as possible is how to become good at playing Fortnite Battle Royale. You can start by changing your sens to 8. Doing so allows you to build faster and will help you improve greatly in shotgun fights. This isn’t necessary, just recommended. Players have their own sens that they prefer and that’s okay, too. Another good tip if you’re new to the game is to drop your titled tower. Doing so will get you used to combat and your sens, if you decided to change it. Start doing things to get used to the controls. Push other players then go for kills. If you think you’re ready, start to go for wins. Combat pro is the best controller settings to use as it allows you to quickly switch between weapons and sheilds, while improving how fast you can build. Watching streamers will also help you. Gamers like Ninja and Myth can improve your skills quickly. This also helps you with picking up some pro Battle Royale tips and tricks, which in turn will help you increase your stats. 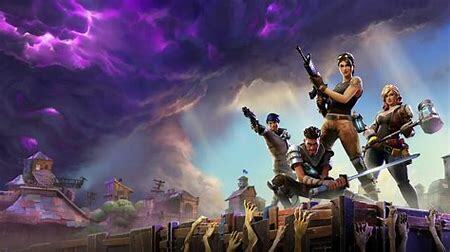 If you love to game and you have the time, simply playing Fortnite Battle Royale a lot will help you improve. Watching Fortnite streamers aren’t necessary for learning the basics of Battle Royale. Playing the game consistently will help you achieve this. With time comes knowledge. If you’re anything like me and only play for fun and don’t really take it seriously, but still want to be good at it, you should figure out why what’s happening is happening. I die a lot, way more than I win, and instead of just taking the loss and moving on, I’ll try to figure out why I died and what I could do differently to change the outcome in the future. This usually means I wasn’t fighting hard enough or I wasn’t building fast enough. I realize that and change my ways until I find something that works. There is always room to improve. Something as simple as changing your weapon could help you, too. Not all weapons are meant for every battle so find the right ones for the right battles. Fortnite doesn’t offer any official tutorials in the game so you need to rely on ones that you find online. I hope these tips have helped you at least a little bit. I will definitely be back with more! Make sure you leave a comment with any suggestions or questions regarding Battle Royale and I will do my best to help you out. Yaaawnn……of course, there are terrible compulsions.